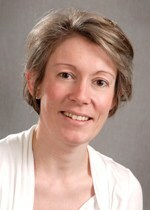 Sophie Fletcher is the clinical lead for Interstitial Lung Disease (ILD) at University Hospital Southampton (UHS). Dr Fletcher has led the ILD (Interstitial Lung Disease) service, a regional specialist service recognised by NHS England, since 2013, a service that receives both national and international referrals. She has established international ILD clinical fellowships, published in internationally recognised journals and participated in multinational clinical trials.